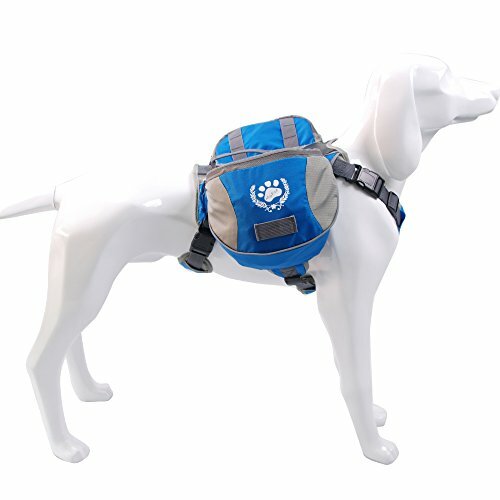 over the shoulders not the back.This backpack design is ideal for you go out walk with your dog. about Chest Girth,Stomach,Neck(as shown in picture). And take any other traits (large shoulders, long torso, etc.) into consideration. all the straps is adjusted so that it will not slide.The rubber mesh on our dog backpack is for breathable can't bear too much weight also. 3.Front D buckle is decorative, not for pulling dog leash. 4.You need to balance it with two side, otherwise your dog will lean and the one side of the bag will get dirty. 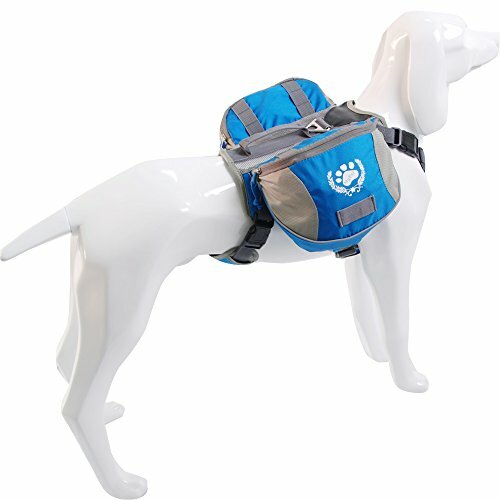 5.This dog backpack is not waterproof,you need to take care of your goods within the saddle bags if it rains. 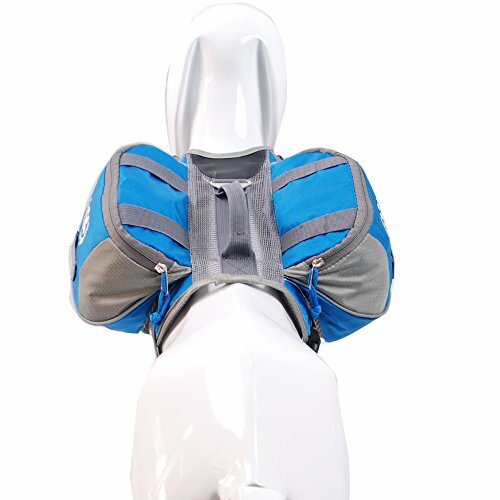 Ideal for dogs 20 to 80 pounds; adjustable saddle bag system for a customized fit Convenient pockets for carrying food, water, and gear for you and your pet wherever you go Balanced assistance handle helps lift dog up and over obstacles Ergonomic padded spine support contours to the dog's back Large Size,Chest Girth 31"- 35",Bag Length 10"* 14",Pocket Length 4.3" * 6.3"